Limiting legal bills in divorce. What liability is there to pay. A non committal approach to separation, burying your head in the sand, is likely to miss opportunity to settle efficiently as encouraged by the Court rules. Such applications should not be made prematurely and rules require efforts to settle out of Court by mediation or collaborative law. Public funding is available for mediation to those without means without proof of domestic violence. Ensure the mediator chosen has a legal aid contract for mediation. The initial meeting is free for the spouse of a legally aided party. While not necessarily a last resort, remember that Rule 28 Family Procedure rules provides that spouses should usually pay there own costs. The rules about Legal Services Orders are detailed about steps that ought to have been considered before making the application and best advice is to instruct a solicitor to scrutinise those steps. 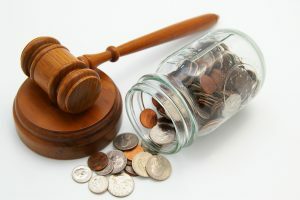 Remember, solicitors specialised in family law can often advise upon fixed fee arrangements and may discuss funding options with a prospective client. Limiting legal bills in divorce. What liability is there to pay. Questions best asked before the Court is telling you in the face of a process that might have cost much less both financially and emotionally. This article was added on Tuesday, January 26th, 2016 at 10:07 am and is categorised under Cheshire News, Chester News, Child arrangements, cohabitation disputes, collaborative law, Divorce, divorce finances, Family finances, Family Law, General News, Macclesfield News, Northwich Events, Runcorn News, St Helens news, Warrington News, Widnes News, Winsford News. Both comments and pings are currently closed. Error: Error validating access token: Session has expired on Saturday, 09-Mar-19 13:12:58 PST. The current time is Thursday, 25-Apr-19 10:05:23 PDT.